First let's review a few major concepts. What is energy? Energy is Everything! Drawn to scale. If the protons and neutrons were a centimeter in diameter. The electrons would be less than the diameter of a hair. 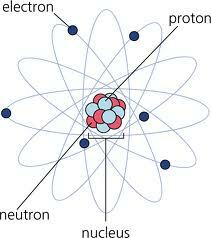 The entire atom's diameter would be greater than the length of 30 football fields! Keep posted as I explore this concept, and our connection to everything in depth in my next post.